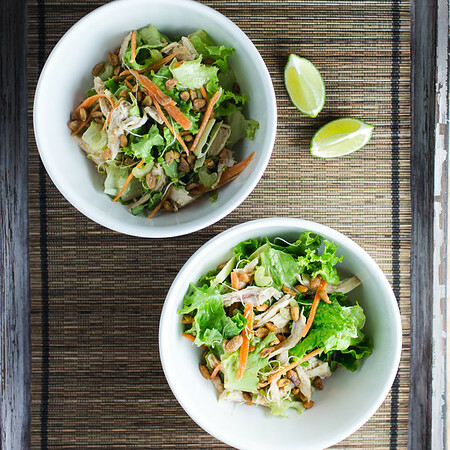 This recipe for leftover rotisserie chicken is so easy and healthy! 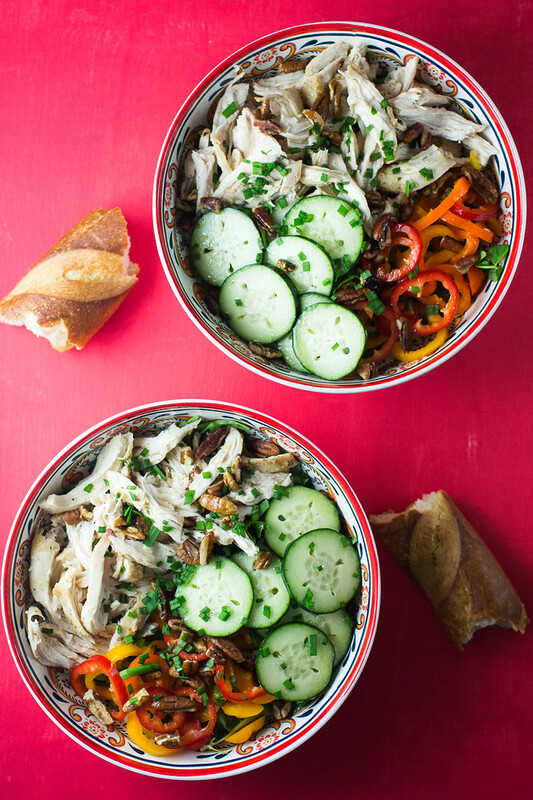 This chicken, cucumbers and sweet peppers salad is made with rotisserie chicken and can be on the table in less than 30 minutes! On grocery shopping days, I usually buy a rotisserie chicken for dinner. This started because in the summer I grocery shop on Fridays and Earthfare has rotisserie chickens on sale on Fridays. It was pretty much a no-brainer. The tradition continues and now no matter what day of the week I grocery shop on, I usually come home with a rotisserie chicken. Then I usually take the easy way out and just cut up the chicken and give it a quick broil to crisp back up the skin and serve it with some chips. But this time I decided to change it up a bit. Be a bit more creative. Keeping it simple and easy, but upping the game a bit, creating a recipe for using the leftover rotisserie chicken. I decided to grab whatever was either on sale or just caught my fancy at the store and make a salad. The first thing I noticed were organic cucumbers. Perfect. Then right next to them was a package of bright and colorful sweet peppers, also on sale. Bingo. I bought some baby greens and I was good to go. I was already putting together the Chicken, Cucumbers and Sweet Peppers Salad in my head. Unable to resist a fresh baguette it went into the cart too. I was contemplating tearing the bread into rustic pieces and roasting them to toss with the salad, but instead settled on the much easier, just tear a chunk off and eat it. There are few things I enjoy more than tearing off a nice sized chunk of chewy bread. I could easily make a meal of bread alone. When it came time to make the Chicken, Cucumbers and Sweet Peppers Salad, I started out by filling two bowls with some greens. Shredded the rotisserie chicken breasts and added them to the bowl. Thinly sliced the cucumbers and sweet peppers and added them to the bowl. For crunch, I toasted some pecans and sprinkled them over the top. Hopped out the back door and snipped a few garlic chives for garnish. Regular chives will do, I just happened to have garlic chives because they are a big bully and totally ran rampant over my regular chives. Made a simple lemon juice and olive oil vinaigrette. Easy peasy, light and delicious. A couple cookbooks that I found for using rotisserie chicken, anyone have any of these? 100 Creative Ways to Use Rotisserie Chicken in Everyday Meals and Rotisserie Chickens to the Rescue. 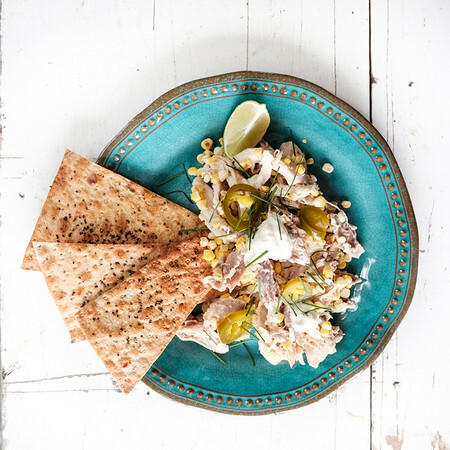 Chicken, Cucumbers and Sweet Peppers Salad is quick and healthy made with rotisserie chicken and fresh vegetables. Divide the mixed greens between two salad bowls. Arrange the chicken, sweet peppers and cucumbers on the top of the salad greens. Sprinkle the pecans over the salads. In a small jar combine lemon juice and olive oil and 1/4 teaspoon salt and a generous grinding of black pepper. Shake to combine and drizzle over the top of the salad - you may have some left over depending on how dressed you like your salad. Oh, all my favorite things in one salad. This looks like the perfect light lunch. Trying it soon! Such a a fresh and colourful salad! 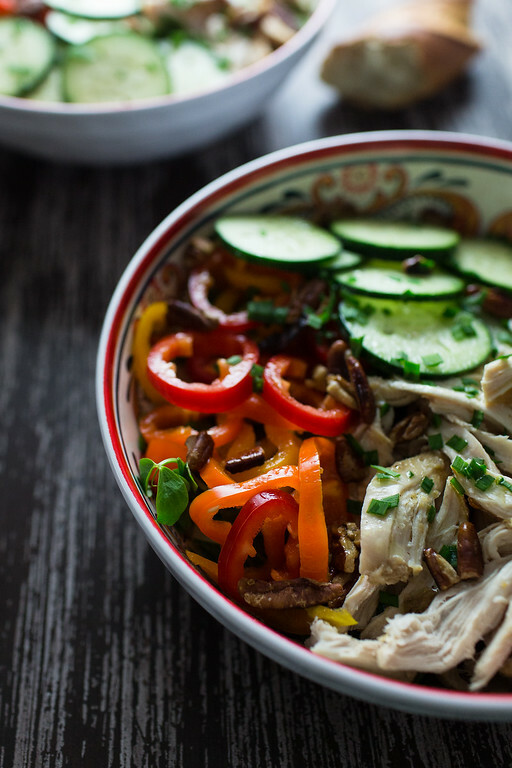 I love the rotisserie chicken in this! This sounds like a really light and refreshing salad. Yum! “Easy peasy, light and delicious.” – It doesn’t get better than that! I recently have been a rotisserie chicken convert. It’s just too easy to pass up to whip up a quick meal. Love your grocery store challenge. Looks like a very tasty and healthy salad. I am a big fan of those colorful little sweet peppers in salads–so good! Delicious Pam, filling salad, I can have at anytime. Thanks for sharing with Hearth and soul blog hop, pinning and tweeting. Salad gets a bad press for being boring, but really, when it can look as good as yours does, that’s unfair. Lovely. Those are some amazingly beautiful salad bowls Pam!! Love the colors & flavors! Yes, please! I love salads like this- gorgeous, hearty, and healthy! I love everything about this salad! It’s clean, light, and delicious! I’d love this for lunch. I love food like this. it’s basically whole30 approved!! Love this! Such a perfect weeknight dinner. 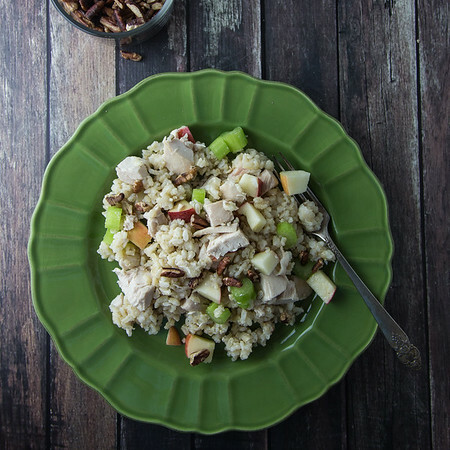 Quick, easy, healthy, no cook – can you ask for anything more? It’s nice when the weather is warm and big, hearty salads like this are on the menu. Your rotisserie chickens always go to good use in your house. That looks great! I can’t wait to get fresh cukes from the garden, the ones at the store are never as good. The salad’s colors are making it a treat and I bet it tastes great too. That sounds like such an easy and delicious chicken salad! YUM! Gosh, that looks tasty. Inspired by your recipes I have started to pick up the odd BBQ chicken from the store. Autumn has arrived (yay) and the cooler weather has me looking back through your Autumn/winter recipes for inspiration. Plenty of options that’s for sure.